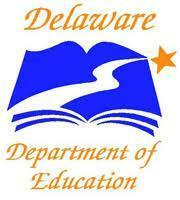 The Delaware Department of Education and the Rodel Foundation are asking parents and guardians of children enrolled in grades 6-12 in Delaware public schools to complete this questionnaire on their awareness and opinion of career preparation school programs. The survey is voluntary, and your answers will help Delaware schools to improve their programs and prepare students for college and careers. You will have the option of entering your email at the end of the survey to be entered in a drawing to win a $100 Amazon gift card. Thank you in advance for completing this survey prior to April 12, 2019. If you have any questions about the survey or your participation, please email or call Natassia Rodriguez Ott at nott@rti.org or 919-541-7197.